Are you longing for a time when perms waited around every corner? A time when romance meant layers of lace and bubbles made of crystal? 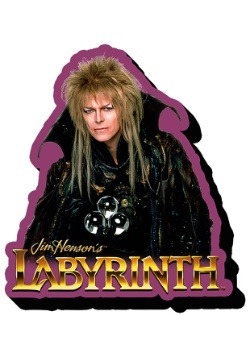 No need to get out your Labyrinth VHS tape and weep over times gone by. Celebrate the dashing Goblin King and the innocent Sarah with our nostalgic Labyrinth costumes. With all the puffed sleeves and mullet hairstyles anyone could possibly hope for, you'll feel like you're reliving this Jim Henson classic in no time. Cue the music... this is going to be one for the books! 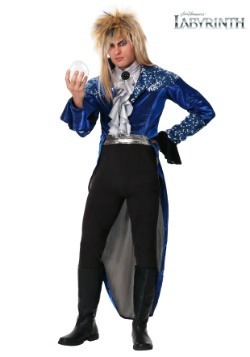 Our line of premium Labyrinth Costumes are made and designed right here at HalloweenCostumes.com. 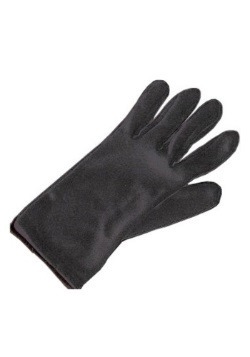 That means they're Made by Us, and that you're only going to find them for sale right here! We're extra proud of the costumes we make in our design studios, and they stand up to scrutiny, too. Where most other costume companies create flimsy styles that have a tendency to fall apart, ours are constructed with quality fabrics and extra attention to detail. Other companies costumes might only last Halloween night, but with the proper care, ours can be kept and worn for years! And, of course, our costumes have caught the eye of major licensors, too, which is why we're able to team up with studios to make officially licensed costumes for your favorite characters. 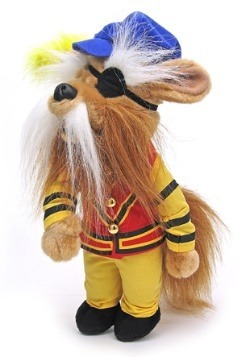 So, yup, you better believe that these Labyrinth Costumes are officially licensed by The Jim Henson Company. We want to make sure you get to get to be the characters you want to be, so when it comes to 80s classics like Labyrinth, we're proud to bring these to the market! 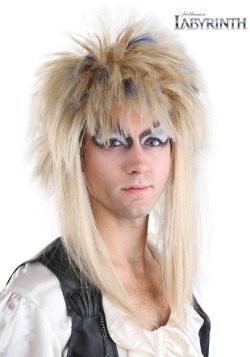 Start your costume adventure with our Labyrinth Jareth Costume. 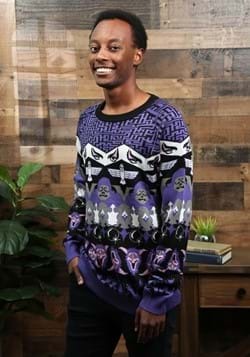 It comes with a shirt, vest, and pants. Styled straight from his costume in the film, the shirt has a v-neck and flowing lapels. The vest is styled as a black vinyl shoulder corset with extra details. 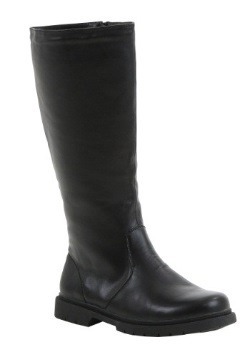 The printed pants have a built-in foam codpiece for just the right effect, and when paired with a pair of costume boots (sold separately) you'll have a screen accurate replica! 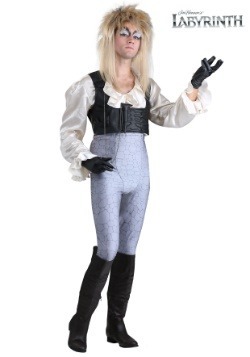 Of course, for an even more enchanting Jareth costume, we have our Made by Us Deluxe Jareth Costume. Recreating his ballroom attire, it comes with the jacket, shirt front, pants, and a belt. Shimmering sequins and exquisite details are instantly reminiscent of favorite scenes from the movie, although you probably will want to get our Jareth Wig to complete the ensemble. But you won't have to sweat the details, the wig is a Made by Us exclusive, too, complete with just the right amount of blue streaks. 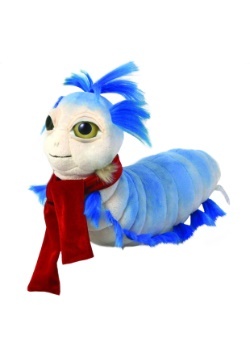 For the ladies, of course, we have our Labyrinth Sarah Costume available, too. Don't worry, we sure didn't forget about her! 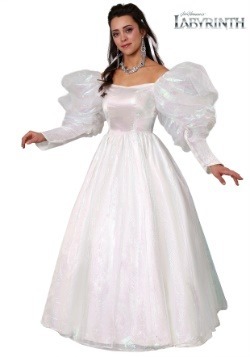 This costume comes with a flowing, elegant dress that looks just like the one worn on screen by actress Jennifer Connelly. It comes with an elegant crown, too, with an attached flower and two ribbons. Everything you'll need for the perfect costume effect. 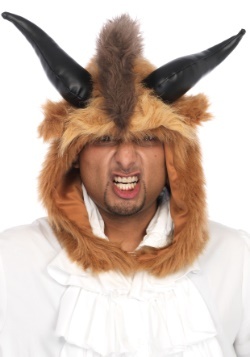 Suit up with any of our Labyrinth Costumes, and we're sure you're going to be stealing the show. Hint hint, it's extra great if a guy and gal team up to portray each character as a couple's costume theme!